The Whampoa Fish Steamboat jaunt is one I make pretty regularly – especially on days when I feel like this equation (don’t wanna dress up + feel like hawker food + don’t want just char kway teow + don’t feel like squeezing with crowds) = Whampoa Fish Steamboat. It’s a lone stall in the breakfast section of the Whampoa market, so even when there are lots of people, there isn’t any jostling or crowd-confusion. One stall. 3 Fish Choices. One hour. Eat. 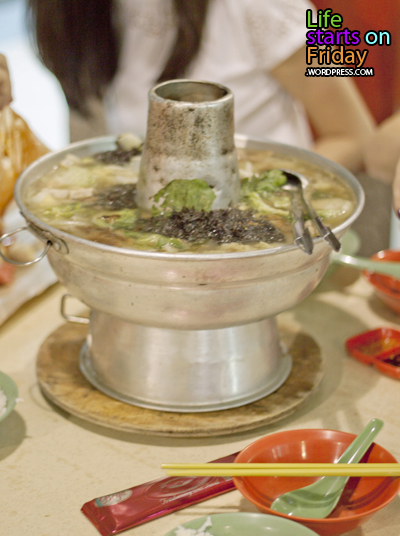 Go on a weekend evening and you are likely to have to wait an hour or more for your steamboat to arrive. Preposterous length of time for ANY hawker stall but as with all good things in life, it’s worth waiting for. I love how it comes with yam. They also offer 3-4 choices of side dishes which you can pick from. We highly recommend the braised duck, it is super yummy. 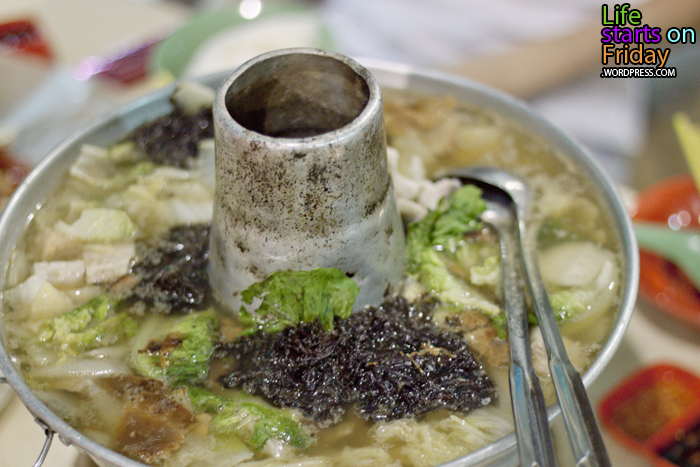 This famous Whampoa Fish Steamboat is so popular that it has prompted many similar ‘imitations’ in the Whampoa Hawker vicinity. 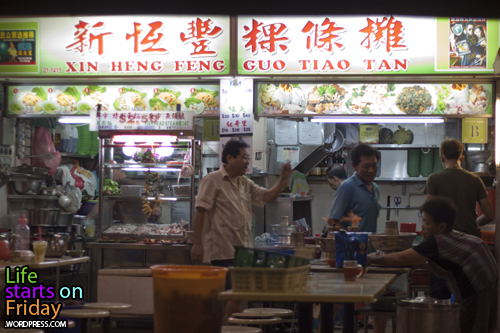 To ensure you are ordering from the right stall, double check that it’s located at the Breakfast Market – where Loy Kee Chicken Rice is also situated. You’ll find most of the stalls closed save for those selling drinks. This entry was posted in Fun, Weekend belly treats and tagged dinner, steamboat by lifestartsonfriday. Bookmark the permalink.